The time has come for 4 new tyres. The car was currently running Neuton NT5000's on the front and Falken Ziex ZE 914's on the rear. I think by now you know my views on the NT5000's and as such I wont be going there again but as for the Falken's I've had them time and again and have always been very happy with them but this time I fancied a change, lets hope I made a good choice. 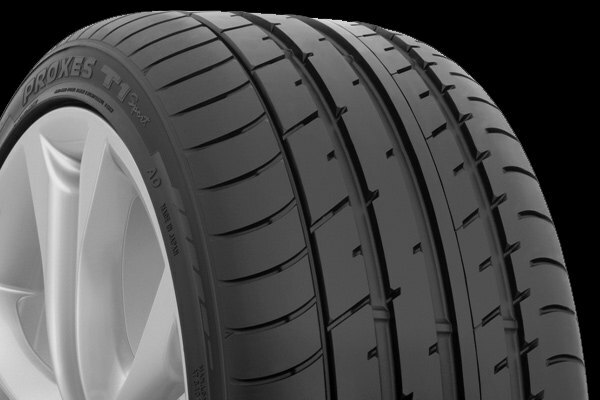 Now I originally ordered 4 Toyo Proxes T1-R's from Event Tyres with that ever so nice tread pattern. But the day before they were due to be fitted (Saterday) Event called to say Toyo couldn't supply them till the Monday so I could wait till then or they offered me 4 Toyo Proxes T1 Sport at the same price, A quick google showed that the T1 Sport is the replacement for the T1-R's but they dont have that nice tread pattern anymore. There asymmetrical with the two inner bands biased towards braking ,the outer bands biased towards cornering and the centre band for stability. Anyhow, the reviews showed they were better than the T1-R's but still had the achilles heel of being short on life span as they use a soft compound. So opting for the T1 Sports Event Tyres came on Saturday morning and fitted them at home for £ 327.40 all in for 4 tyres. I took the car out for a quick blast but there going to need a hundred miles or so before they scuff in but what I will say is the so much more quieter than my old set and dont tram line as much. However having just popped out in the rain to get some petrol in the wet these things are already miles ahead of both the NT's and Falkens to the point I feel more confident in the wet on these than I did in the dry with the NT5000. I'll update this thread as I go as I cant see any other threads for this specific tyre. Would be good if we had more threads Rich. One per tyre with all users of that tyre putting there input in. We could then have our own Tyre review section with one thread per tyre rather than hundreds on "what tyre should I get"